If you fell in love chatting all day long then this app is for you! 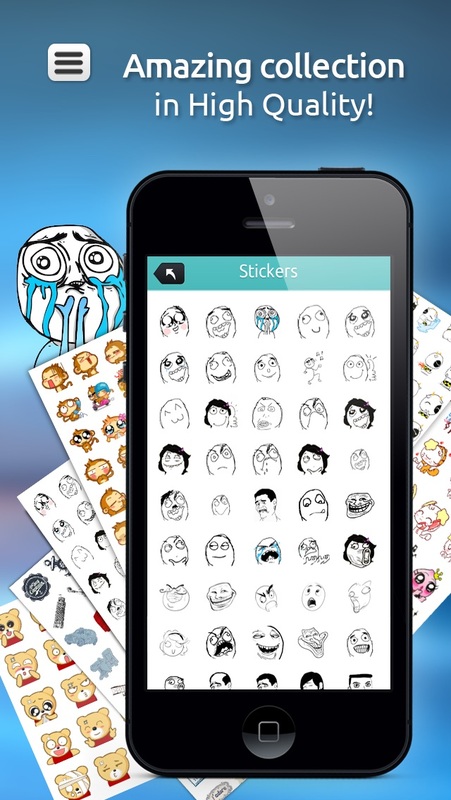 In just 3 seconds share your emotions to your friends using our professionally selected Stickers! It was never as easy to get it done in just few seconds. 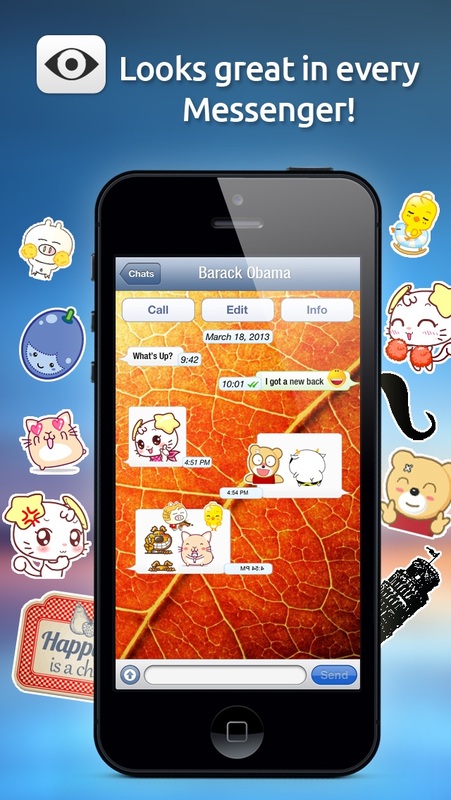 We designed it especially for WhatsApp and iMessage chating. We know you feel in love using new chatting features! 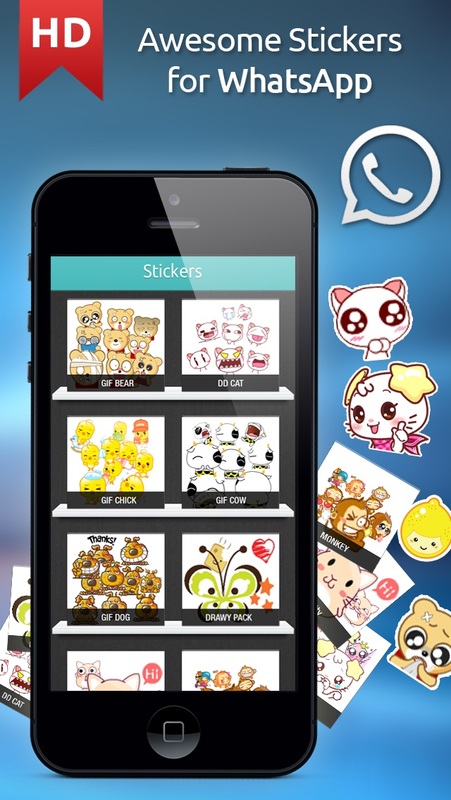 Now you have cool Stickers Packages as: GIF COW, GIF CHICK, DD CAT, RAGES FACES, COMICS:) and much more! ***Enjoy it and have fun! *** - Share it and let us know your impressions. We need to do our best to make your needs satisfied in the simplest way! Disclaimer: Unofficial Product. This application is not endorsed by or affiliated with WhatsApp Inc. WhatsApp Messenger, its name, trademark, and other aspects of the app are trademarked and owned by their respective owners.